"Fisher was observed showing inappropriate behavior to a greyhound by pulling on the collar and pushing the greyhound's head down in a rough manner." During a state hearing on the incident, Fischer admitted to the incident and stated that he "was having a bad day." The incident occurred at Mardi Gras dog track. This is the fourth time this year that a West Virginia dog track worker has been suspended or had his license revoked due to greyhound neglect or cruelty. 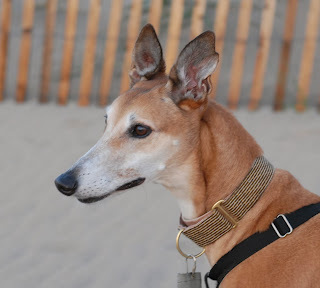 Two individuals were sanctioned after an incident in March in which a greyhound named Kiowa Dutch Girl suffered a broken leg and was denied veterinary care. In April, an assistant greyhound trainer at Wheeling Island dog track was caught on surveillance video hitting two greyhounds. The West Virginia Racing Commission should be applauded for addressing this issue, and taking action in these cases. 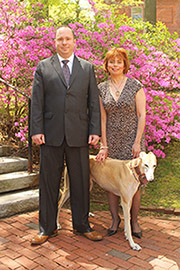 It does raise questions, however, about the continued operation of dog racing in West Virginia. These are no longer isolated incidents, but instead represent a pattern of animal cruelty and neglect. Greyhound racing should be banned around the world but if we have to stop it one worker at a time.....That's the way we will have to do it!!!! Some people should be banned from across the world! !